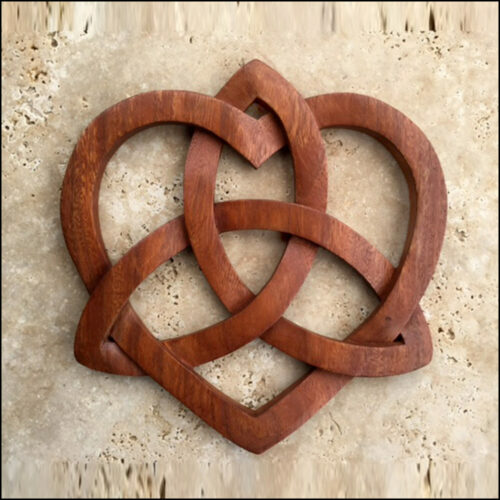 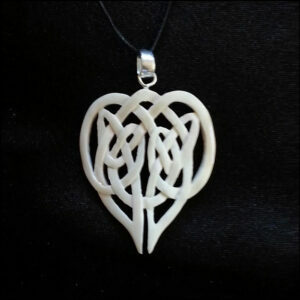 A trinity knot inside a heart. 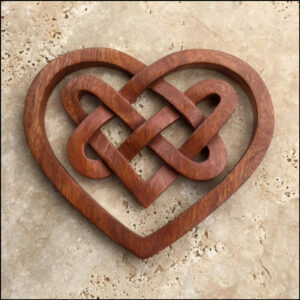 The meanings of knots have changed over the centuries. 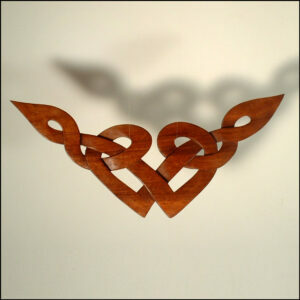 In Celtic pagan times, this would have been a symbol of spiritual dominion over the earth, sea and sky. 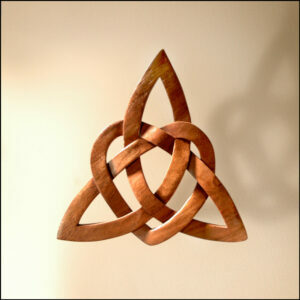 Christians would have seen this as an affirmation of love and of the holy trinity.